This cozy, plush topper will dramatically transform any old mattress into a cozy and any new mattress without memory foam into an even more comfy and supportive bed. 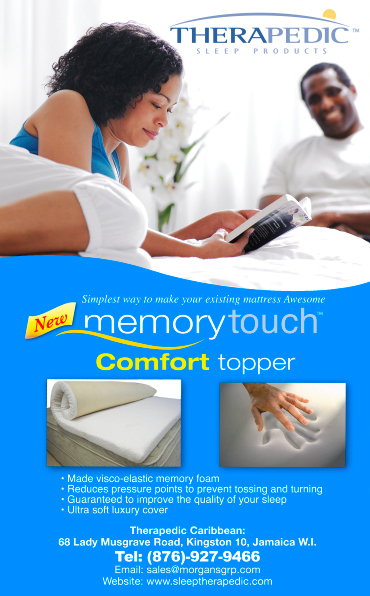 This amazing product is crafted with the pressure relieving visco-elastic memory foam with an open-cell design to allow for easier breathing and airflow .Therapedic’s mattress toppers are all encased in a premium jacquard cover that can be removed and spot washed easily as needed. Our toppers are produced and available in a variety of thicknesses (1.5”, 2” and 3”) in all sizes. It can fit under standard fitted sheets as well as deep pocket sheets for mattresses. It helps to also eliminate aches and pains in some of the body's most tension-prone areas, including the shoulders, hips and back.